Throughout the calendar year, Explore Fairbanks offers partners the opportunity to participate in sales and co-op marketing projects and programs. As examples of “pay-to-play” opportunities, Explore Fairbanks may: (a) secure a full-page ad in a publication and share a portion of the space with interested partners for a fee; or (b) purchase a booth space at a trade show and offer businesses a chance to participate for a fee. Activities such as these allow businesses to participate under the “Explore Fairbanks” header to better showcase the destination as a location with a variety of offerings within it. Other sales and marketing opportunities may incur limited or no costs for businesses to participate. As examples, Explore Fairbanks may: (a) coordinate a luncheon for meeting planners in Anchorage at which partners may participate free-of-charge but would need to assume their travel cost to participate; or (b) coordinate a familiarization or “FAM” tour of the Fairbanks region for tour operators during which a partner may offer free or discounted services for the operators in order to expose them to the business’ product. For the current Sales Calendar for Explore Fairbanks, click here. For the current Co-op Marketing Opportunities for Explore Fairbanks, contact Kasey Gillam. Partnering with Explore Fairbanks provides you and your business with a wealth of marketing and networking opportunities. The following summarizes the benefits that are included in your Basic Partnership. Listing in the Fairbanks Visitors Guide – Your partner listing is included in the Fairbanks Visitors Guide publication. 200,000 copies of the Fairbanks Visitors Guide are distributed to visitors and potential visitors who are in the planning process. Enhanced Internet Listing – Your business name, address, phone number, fax, e-mail, website and social media links, a 500-character description of your business, and unlimited media uploads of pictures and videos are listed on the Explore Fairbanks website. A 4”x9” Brochure Space at the Visitors Center – Your brochure space at the Visitors Center, located inside the Morris Thompson Cultural and Visitors Center, allows you to showcase your business to the visitors who are already in Fairbanks. Explore Fairbanks suggests a minimum of 500 brochures. Explore Fairbanks contacts partners when their brochure supply is running low. 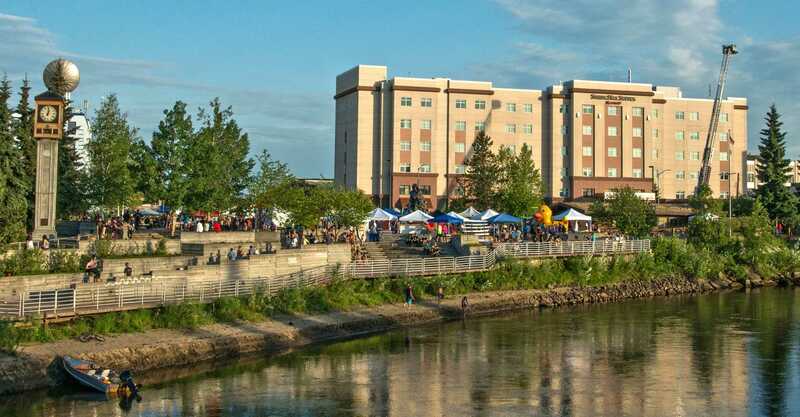 Familiarization (FAM) & Media Tours – Tour operators, meeting planners, media and other travel professionals are continually visiting our area and are interested in what Fairbanks has to offer them and their clients. Explore Fairbanks is their link to our community. As an Explore Fairbanks partner, you have the opportunity to be a part of these visits and the chance to share your business with them. Other Partner Benefits – As a partner of Explore Fairbanks, you will also receive representation at trade shows, an annual partnership directory listing, an Explore Fairbanks partnership decal, and use of Explore Fairbanks’ logo and destination video. Additional brochure distribution at the airport, railroad, Pioneer Park kiosks. Brochure distribution at these locations are on a first-paid, first-served basis. Space is limited. If you are interested in becoming a partner of Explore Fairbanks, fill out the form below and a member of the Explore Fairbanks staff will be in contact soon.